early morning proceed to Rangat island via Baratang on the way visit mangrove walk way ,Morich dera, amkunj beach, pachwati water falls and overnight stay at Rangat island. At morning proceed to Diglipur village vegetable bowl of the islands then visit the kalipur beach is little island known for fishes and corals then Ross and smith island are twin islands bridged by pristine white sandy beach that has as a swimming pool lagoon on one side and a snorkeling paradise on the other. Then back to Rangat over night stay at Rangat Island. 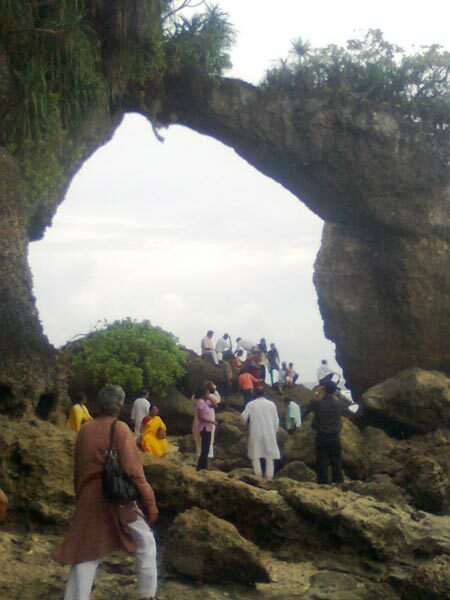 At the amazing tour will be start for ROSS ISLAND it is two km form port Blair(capital of Andaman) It was the Administrative Headquarters for the islands, One can see remnants of an opulent past in the ruins of the church, swimming pool and the chief commissioner's residence with its huge gardens and grand ballrooms. And evening proceed to Chidiya Tapu and Mundapahar beach the evergreen forest and enjoying the sunset point till evening. at morning proceed to HAVELOCK ISLAND it is 57 km form Port Blair ,by inter island ferry. The island is named after a British General, Henry Havelock who served in India. after reaching their visiting the Radhanagar beach, and vijay nagar beach it is most beautiful sandy beaches of Havelock One can go for snorkeling at Elephant Beach at Havelock Island,(own cost)afternoon proceed to Neil island and night stay at Neil island. Niel island is 37 kms by sea form Port Blair (Neil island is known as vegetable bowl the small bengali cultured village) then proceed to Bharatpur, Laxmanpur and Sitapur all beaches in Neil islands are like picture postcards, its water colors depicted verity of blue shade it is amazing tour once you go there you don’t want to come, then back to destination. Morning the tour will start for city tour, first visit the Chatham saw mill, Asia’s oldest mill. Then proceed to Anthropolical museum where you see the indigenous community of Andaman .samudrika the naval museum where you found verity of sea coral. 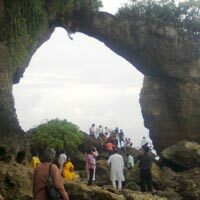 Fisheries aquarium it exhibits the variety of sea animal and marine life of Andaman. Evening shopping at sagorika emporium and view point.